In April 1997, I was having trouble starting a new commissioned orchestra work, with many sketches going nowhere. One evening in April a different piece suddenly came out almost fully-formed; it was a musical whirlwind for flute and piano. Once this A Theme was in place, it led very naturally into a B Theme based on my earlier song "Tobetara" (setting a Japanese poem whose title means 'to be able to fly'), which happened to have motivic links to the new musical whirlwind, as well as a similar airborne image. Both themes were full of rising 4ths and pentatonic tunes. In a few days the whole April Whirlwind was in its final form. Through my work at Theodore Presser Company, I've had the privilege to be Gary Schocker's publisher. 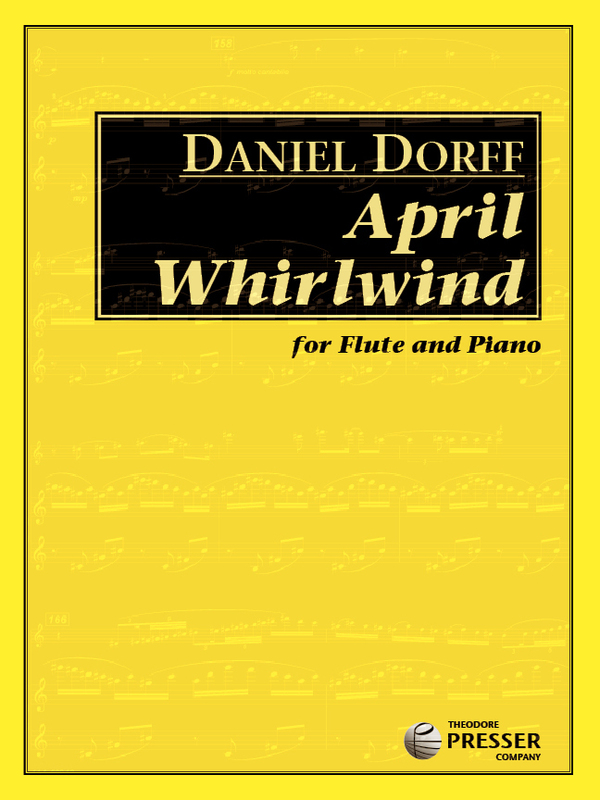 After finishing April Whirlwind, I decided to dedicate it to Gary out of respect for him both as a flutist and a composer; his effervescence and airborne virtuosity match the spirit of April Whirlwind.